Arts Sector Accounting Software So Good, It Should Take a Bow! 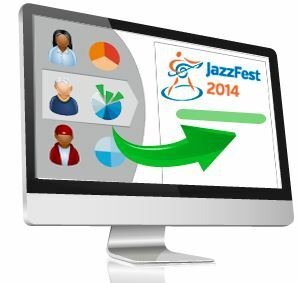 Capital Business Solutions recommends Financial Edge NXT accounting software for arts and cultural organizations. Built on secure, cloud-based technology, Financial Edge NXT’s nonprofit specific functionality improves both strategic decision-making and day-to-day efficiency. Behind every center stage performance, there’s a back office that makes it possible. To continue enriching our lives, arts and cultural nonprofits require strategic and efficient administrative processes that safeguard the financial future. 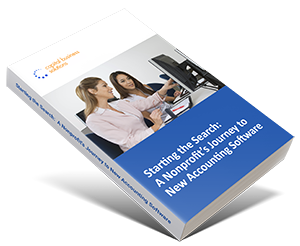 Financial Edge NXT is the award-winning, cloud-based fund accounting solution designed to provide fiscal transparency and accountability to arts sector nonprofits. 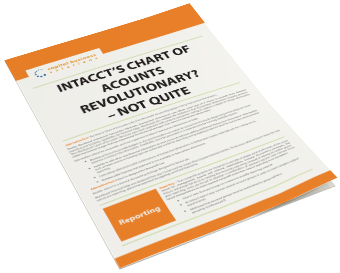 Financial Edge NXT offers dozens of standard nonprofit report templates, so you can get the information you need faster, in the format you expect. Best-in-class budgeting provides the confidence you need to model the financial future while rigorously controlling costs. Financial Edge NXT’s native support of allocations, funds, projects, grants, and endowments delivers the efficiency and transparency necessary required to optimize your financial management. Growing organizations require secure scalability. Financial Edge NXT’s cloud-based architecture not only supports anytime, anywhere access but lets you quickly add modules and users without slowing down to spend on IT hardware. Advanced security certifications and robust internal controls for managing user rights ensure that your organization’s most sensitive financial data remains secure. Capital Business Solutions is an authorized provider of Blackbaud Financial Edge NXT. When you choose Capital Business Solutions as your Financial Edge NXT partner, you not only receive dedicated attention to maximizing the value of your software investment, but also deep product experience. Implementation. You’ve got tickets to sell and exhibits to curate. Let Capital Business Solutions ensure you have a smooth and quick software transition with our professional implementation services. Training. How can your financial staff efficiently and accurately allocate the funds your development office has worked hard to generate? Master this and other key financial management tasks with our flexible training offerings. Consulting. We understand how to empower the back office in the arts sector to drive organizational success. Work with our experienced consultants to prioritize improvement opportunities and engineer technology-enabled solutions. Support. You deserve a support provider with both technical product expertise and a knowledge of your unique business challenges. Ensure high availability of your critical financial management technology` by trusting Capital Business Solutions for your accounting software support. Blackbaud Altru offers arts and cultural organizations state of the art ticketing, efficient merchandise sales, superior membership reporting, and more insight into donor behavior to drive fundraising revenue. Capital Business Solution’s seamless integration product (Altru Connect) of Blackbaud Altru and Financial Edge NXT ensures that your donor and customer data is never disconnected from your core financial management system. Why CBS for Financial Edge NXT™? We know the whole world is in a rush to move you to the cloud but CBS is willing to take the time to discuss in detail what the value is to your specific organization, how it can save you time, drive deeper functionality for your organization and provide anywhere access to your team in a safe and secure environment. Like you, we never stopped working with Financial Edge, and have hundreds of clients who continue to work with that product.